The non-plus-ultra concerning safety for all gym anchors. The large inner radius of the steel carabiner ensures far lower material wear on the rope and top anchor. 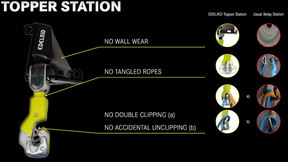 What do you think of the Edelrid Topper Station? Let us know in the comments below. 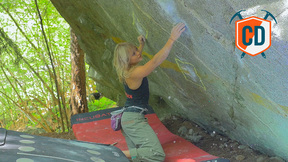 Check out all of our Edelrid gear: here. Have a couple in my gym, they work great as top rope stations, unfortunately the have no provision for setting, no secondary clipping point makes it very difficult to fix a line to set off. Otherwise does everything it says on the tin.